Styled with basketball tank and stadium jacket . 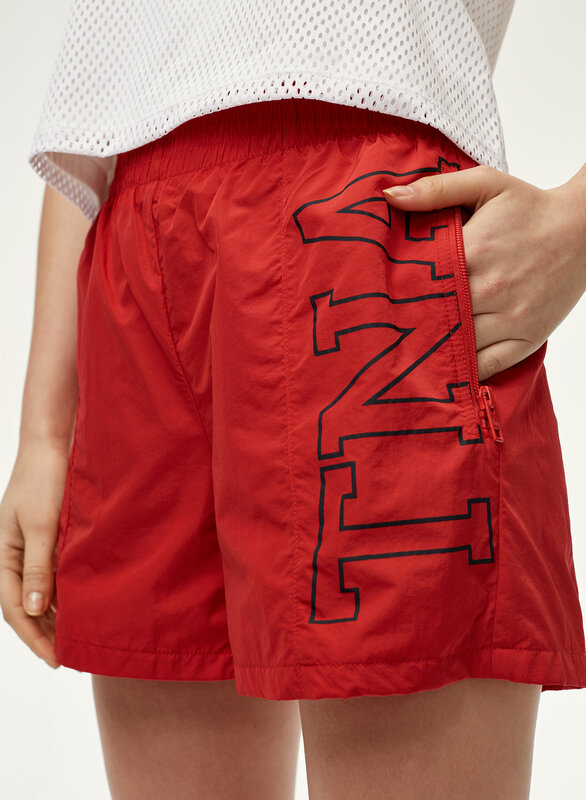 Tna’s take on the boxing short is made with a lightweight fabric that’s been specially treated with durable water-repellent finish to keep you dry in wet weather. The high-rise and longer length are straight out of the ’90s.